The Otis Instruments Model OI-315 TOCSIN3 Personal Monitor is a personal safety device designed to detect the presence of toxic gases in ambient air. 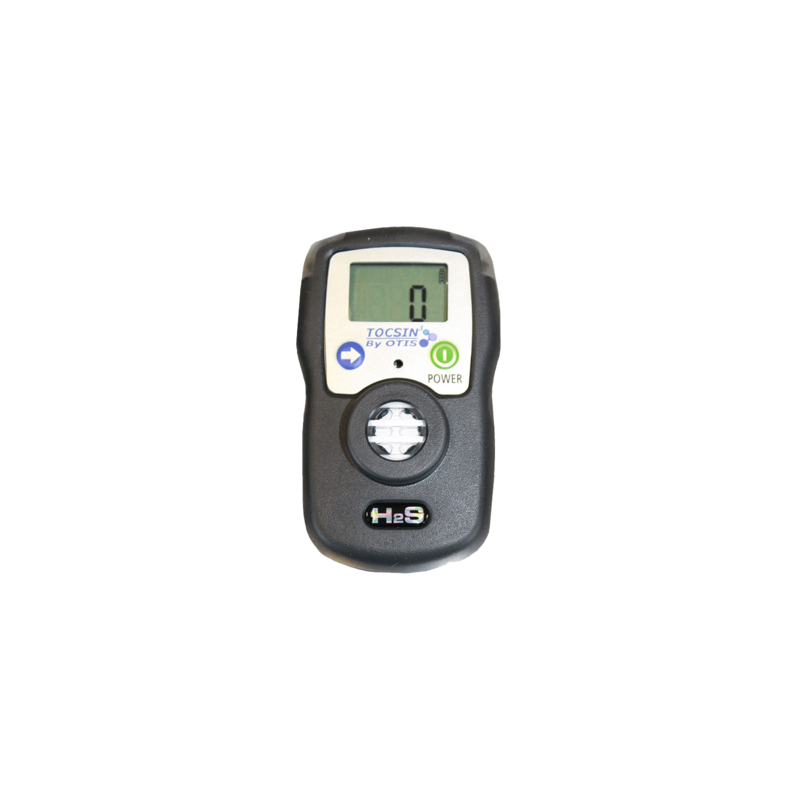 When activated, the OI-315 continuously monitors ambient air for the presence of H2S, CO, or O2 (whichever unit-type is purchased) and alerts the user to potentially unsafe exposure with visual, vibrating, and audible alarms. The OI-315 features an alligator clip that allows it to be worn on personnel in the field at all times, as well as: rubber enclosure for shock prevention, water/dust proof enclosure, adjustable alarm set points, LCD display with LED backlight, data logging capability, user-replaceable sensor element, and user-replaceable battery.